The main yacht charter bases in the Ionian are on Corfu (either Gouvia marina or Corfu port), on Lefkas (either Nidri port or Lefkas marina) and nearby Preveza which holds also the main airport for the Ionian Sea. Further south, closer to the attractive sailing area of the Echinades, Ithaki (Ithaca) and Kefalonia there aren't any yacht charter bases to start your sailing holidays from. Moreover, the official Ionian Sea stretches out twice a distance below Kefalonia, far beyond the island of Zakynthos and reaches all the way to Kythera (Kythira) which is adjacent to the Argolic gulf. To get here you are require to make the astonishing southern passage around the Peloponnese, yet these waters are a 2 weeks distance from the nearest bases of Athens or Lefkas! In practise only yacht owners and rarely yacht charterers will venture out so far away from the main bases for yacht charters, and most sailing is done around the main cruising islands of the Ionian: The east coast of Lefkas, Meganisi, Ithaca and the east coast of Kefalonia. A secondary cruising area is around Corfu and indeed inspiring is are circumnavigation of the island visiting the nearby islets of Paxos (Paxoi), Othoni, Erikousa (Erikoussa), Mathraki and parts of the mainland of Greece: Parga, Mourtos, Igoumenitsa, Sagiada and Pagania. 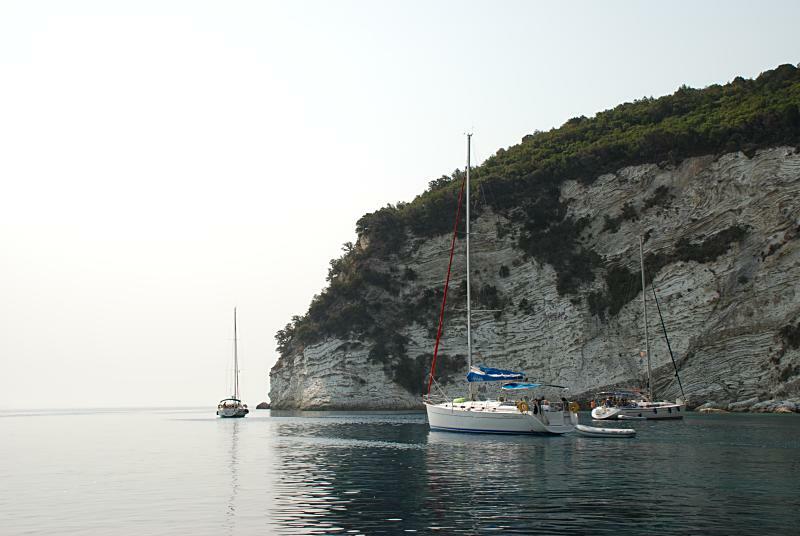 Simply ideal for sailing Ionian.